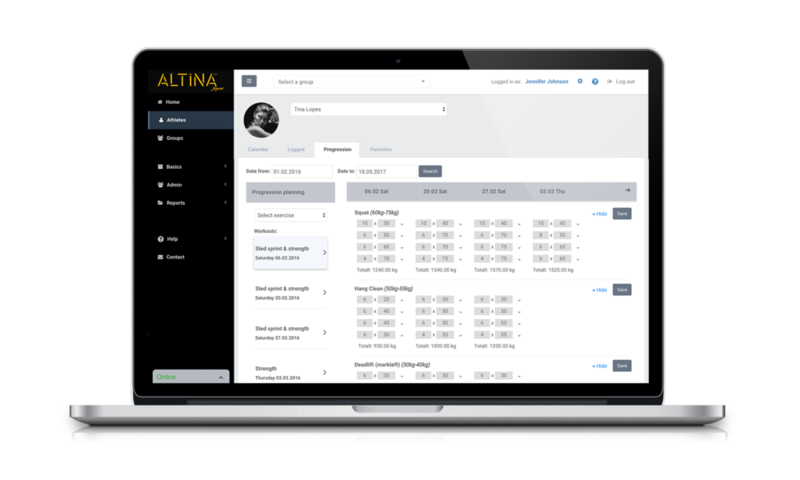 Optimize planning, communicate and get the total overview of your athletes/clients. Plan workouts in the app or web-client. All types of sports and exercises can be planned - not just strength training. 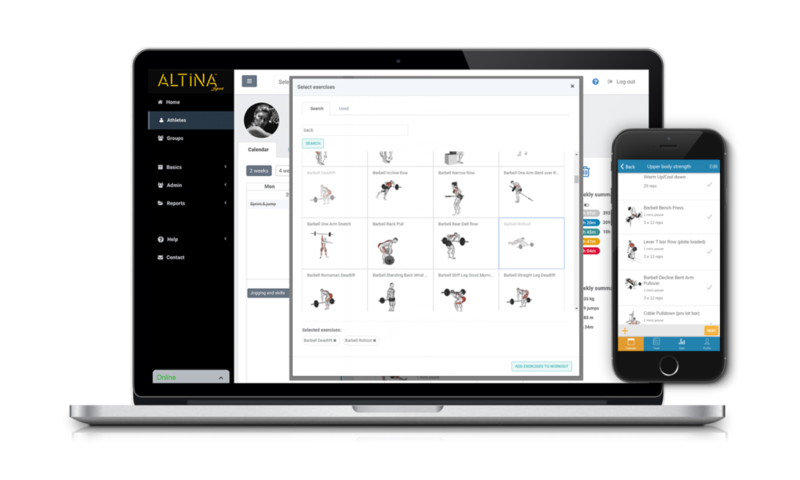 In ALTINA you get access to 2000 3D-exercises and 50+ FREE workout templates. 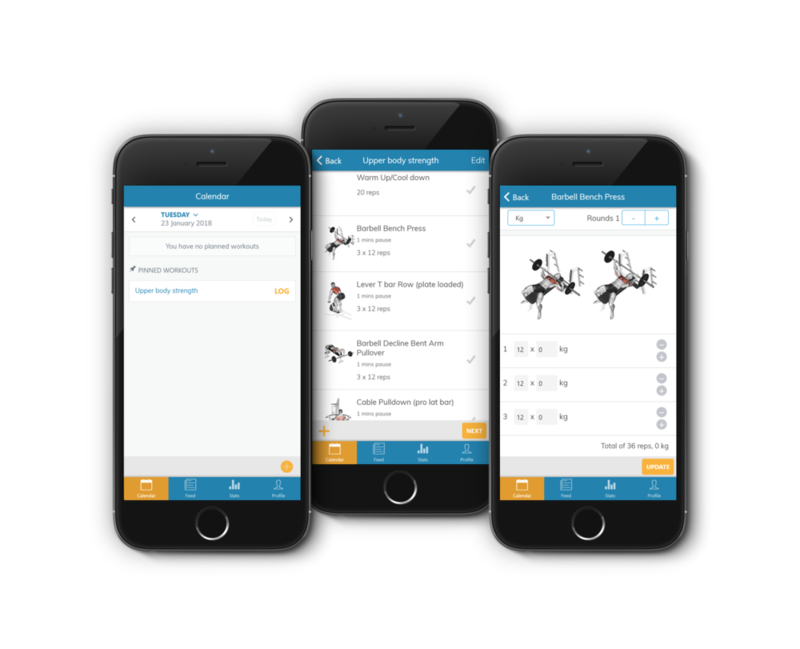 The athletes get their planned workouts in the app, and log them to their training diary with a comment and information about shape and injury. Logged workouts are visible in your activity feed, where you can give feedback and communicate with the athlete/client. 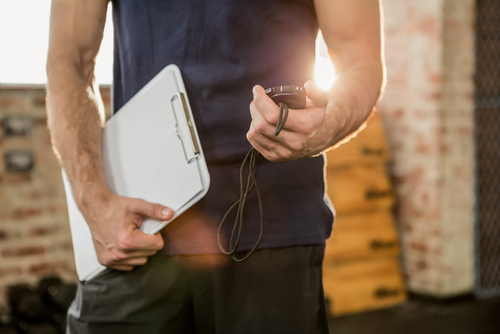 Get overview of the latest activities your athletes have completed and give direct feedback. This can be done both in the app and web-client. In the progression planner you can plan progression, and get the overview of the athletes actual progression. One month FREE TRIAL on all licenses - no card registration needed.